6. 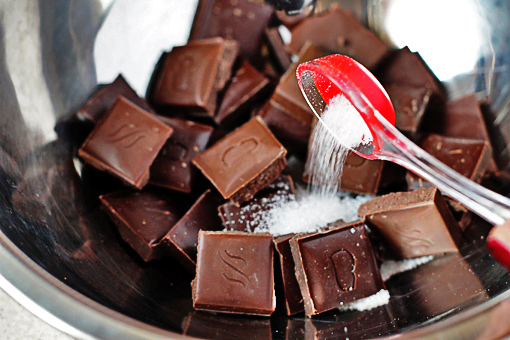 Stir until the chocolate melts. Then keep stirring until the mixture gets hot, nearly boiling. 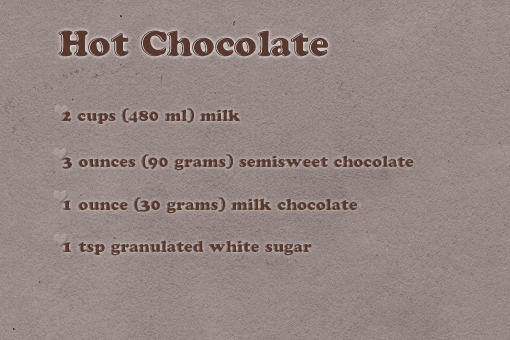 Now that’s my kind of hot chocolate! 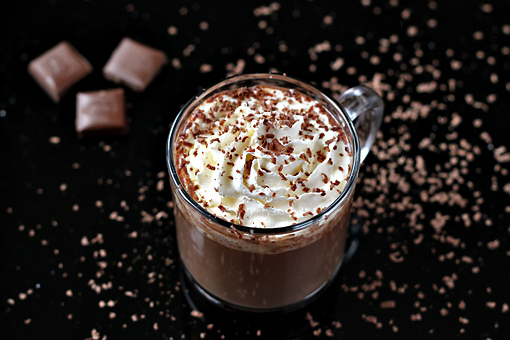 Beautiful, that is what I need right now, a real cup of hot chocolate and not the prepacked crap!! 🙂 By the way thanks 4 the camera advise, got it the other day and love, love, love it especially the 50 mm lense…. Your coco looks so rich and velvety! Perfect on a chilly night like tonight! woo – that looks and sounds rich! 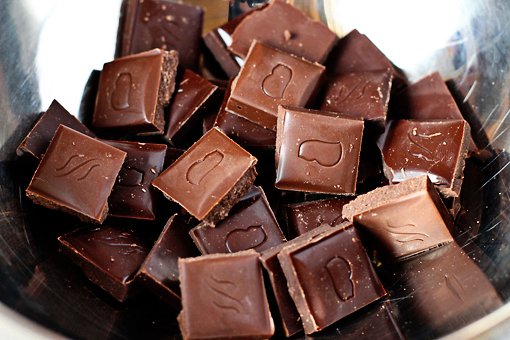 what brand of chocolate did you use? This looks so good! My fall is 75 degrees so I made the frozen version a few days ago. aww, love this. love hot chocolate and LOVE FALL. 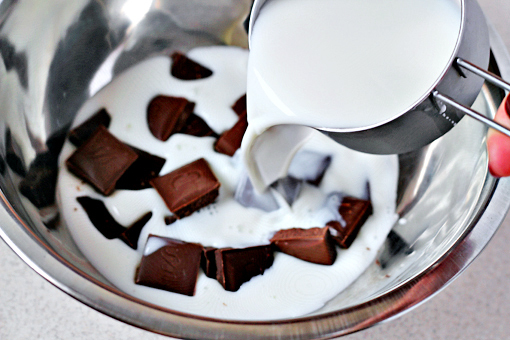 Wowo this just looks absloutley delicious. here it is getting colder day by day and i am sure gonna try this. I especially love the shot where you added the sugar. I love the way you could see the action of the sugar from spoon to bowl. Nice work (as usual!). Your leading picture is really beautiful. It made me make a cup of hot chocolate instantly. I read this earlier this morning, bookmarked the page, thought about it all day, and then came home from work and made it instantly. 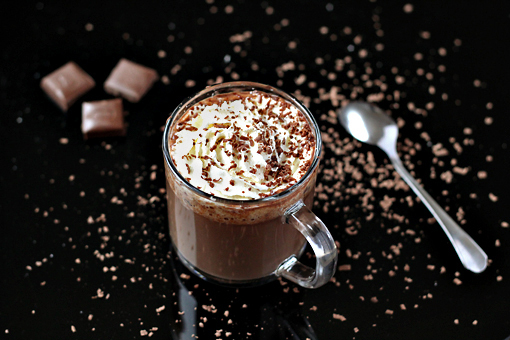 But, for the sake of being 19 and curious, I added some Nesquik….The results were amazing! 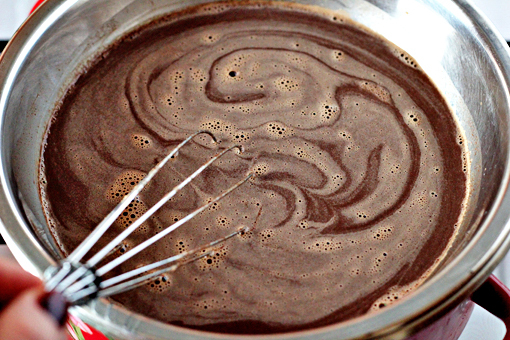 It totally tastes like liquid brownies <3 Thanks for the recipe…I'm making the Garlic Knots tomorrow. Thanks again! 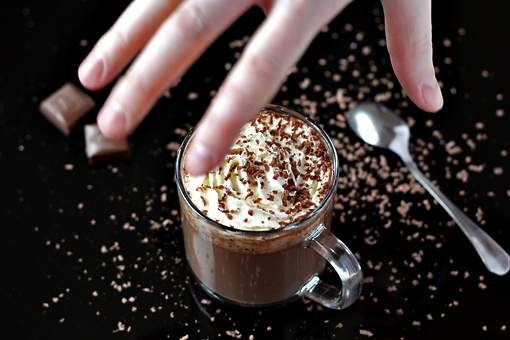 Tis the season for gorgeous hot chocolate. Sounds delish. This looks soooooooooooooooooooooooooo divine, so utterly utterly sinfully divine!! shreya how age r u???? ?